restoration pass. Most companies only make the first pass. This leaves your tile grout lines looking inconsistent when dry. Deluxe Carpet Cleaning uses the 2 step approach. to completely steam and sanitize your tile & grout. cleaner longer and ensure that it cleans well in the future. 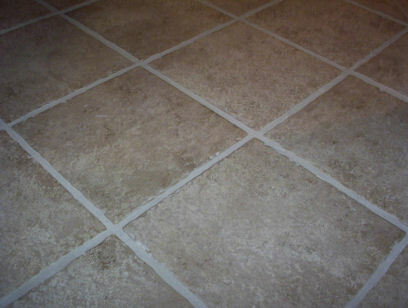 types of tile such as travertine, slate, quarry or saltilo clay tile. Insist on our number 1 recommended method of cleaning by carpet manufactures & the IICRC. Beware of Cheap Tile Cleaning!